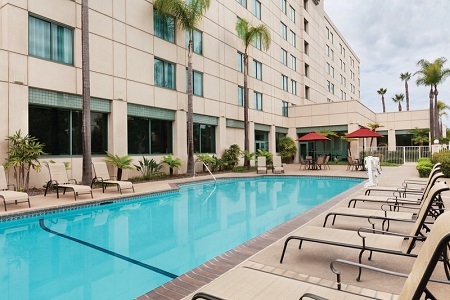 Nestled in the Sorrento Valley near I-5 and I-805, the newly renovated Country Inn & Suites® by Radisson, San Diego North, CA provides a quiet retreat with quick access to local businesses and the University of California San Diego (UCSD). 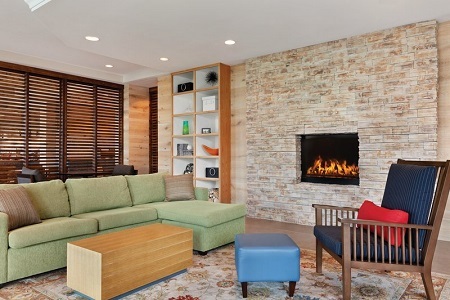 Families can travel to LEGOLAND®, SeaWorld or the world-renowned San Diego Zoo in 26 minutes or less and soak up the California sun at nearby La Jolla beaches. 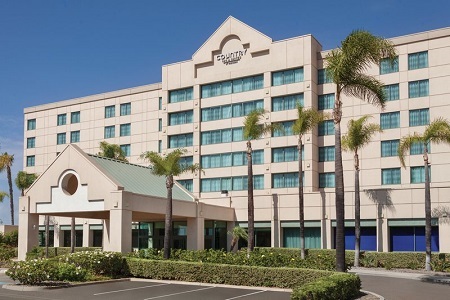 If you’re traveling on business, take our hotel’s complimentary shuttle to nearby corporations like Qualcomm and business parks like San Diego Tech Center for stress-free travel. Traveling with family and looking for extra space? Book a One-bedroom King Suite and enjoy an expanded floor plan along with a California king bed, a separate living area and a sleeper sofa. 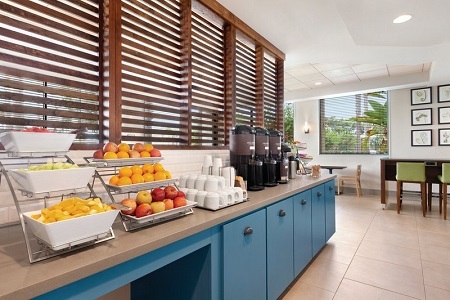 Guests rave about our free, hot breakfast, which includes traditional morning favorites like eggs, bacon, fresh fruit and make-your-own waffles. If you need an afternoon snack, swing by the lobby for a complimentary cookie. At the end of the day, head to the on-site Fireside Lounge for a delicious dinner of salmon filet or Black Angus beef paired with an ice-cold beer or a glass of wine. SeaWorld – Situated less than 20 minutes away, SeaWorld delights families with spectacular aquariums, captivating shows and exhilarating thrill rides. Don’t miss the popular shark tank, one of the world’s largest underwater tunnels. USS Midway Museum – Once the largest ship in the world, this retired aircraft carrier is now an interactive museum with dozens of exhibits and two flight simulators for adventurous visitors. Balboa Park and San Diego Zoo – Set aside an entire day to explore 1,200-acre Balboa Park, home to more than 16 museums, the famous Old Globe theater and the beloved San Diego Zoo. Visit on a Sunday afternoon to enjoy a free concert at the Spreckels Organ Pavilion. With meeting space for up to 190 guests, the Country Inn & Suites provides ideal facilities for Sorrento Valley-area events. 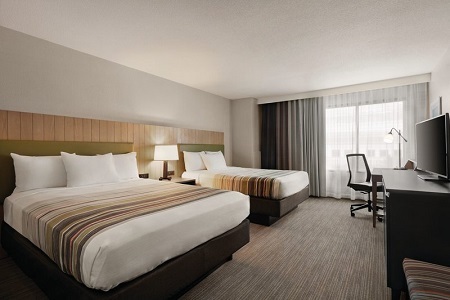 Our hotel offers more than 4,000 square feet of space across seven meeting rooms, along with audiovisual equipment rentals, catering options and free Wi-Fi. Planning your wedding in sunny San Diego? The Country Inn & Suites makes a picturesque wedding venue! Featuring beautiful event space, a variety of packages and the assistance of our dedicated events team, our hotel can help you create the wedding of your dreams.